Thanks to all the OHs who came to Saturday's 'Leavers of 84 Reunion'. The event was wonderful, and it was lovely to see everyone again. Special thanks to the School for helping with the arrangements says Tim Conning. 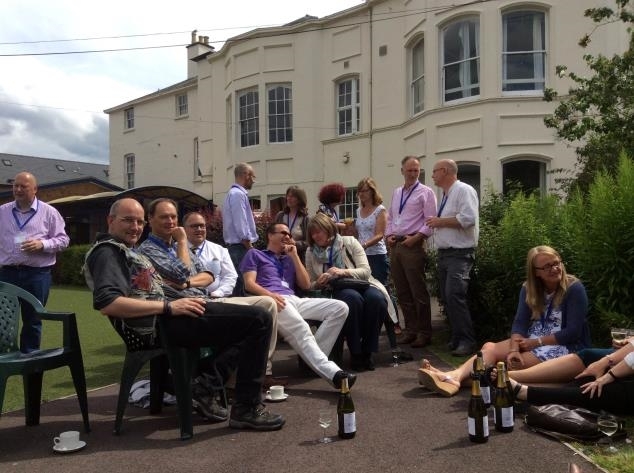 Despite the threatening weather forecast the sun shone on the class of 1984 as they got together on 5th July 2014 to celebrate the 30th anniversary of leaving HCS. The reception in the hall of Number 1 reunited people who hadn't seen each other since leaving and the babble of chatter and laughter was deafening. OHs had travelled from across England, from Wales and Scotland as well as one intrepid alumni from Austria; an amazing turnout. The reminiscence, gossip and huddles in corners of the garden of Number 1 lasted for hours and went well into the night around Hereford's finest hostelries and the last revellers parted at 2 am. 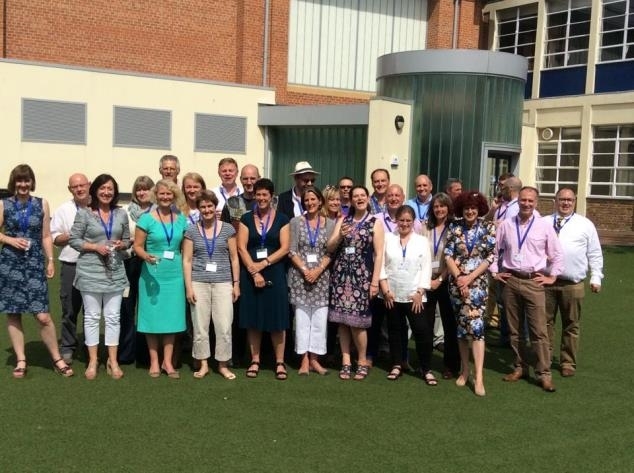 The class of '84 were impressed with the expansion of the school as well as the quality of facilities on offer and enjoyed a tour of classrooms old and new; memories sparked and absent friends recalled. We raised a glass to those kept from us by distance and circumstances and remembered dear friends whose loss we feel. It was a lovely day full of charming people with a common bond of HCS. 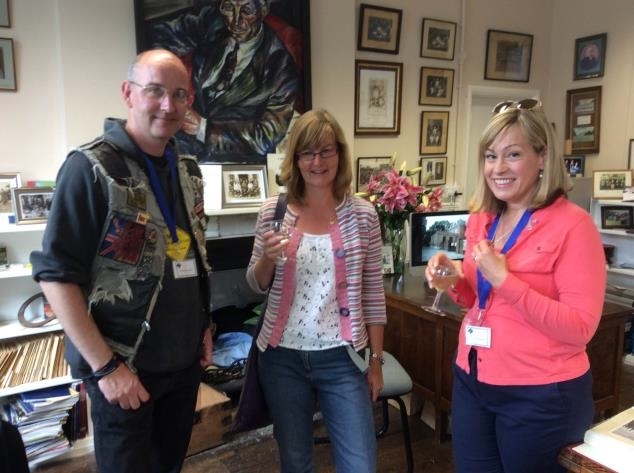 Our sincere thanks go to Tim Conning for suggesting the reunion and to the Development Team (Helen in particular) for making the day run so smoothly. 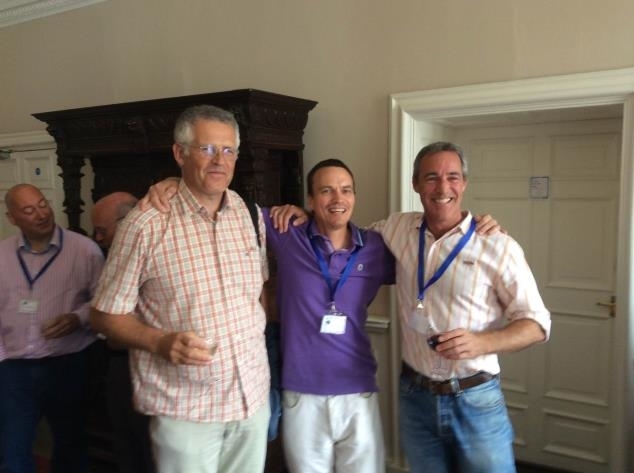 If you have ever worried about attending a reunion, I urge you to go; nothing beats reminiscing about a shared past. Thanks to all the 84s who came and made it such a special day. We were joined by some of our best loved teachers and the ageless and redoubtable Mrs Lawrence.